The Sol VIP Travel can offer you some overview excursions around Castile – la – Mancha. 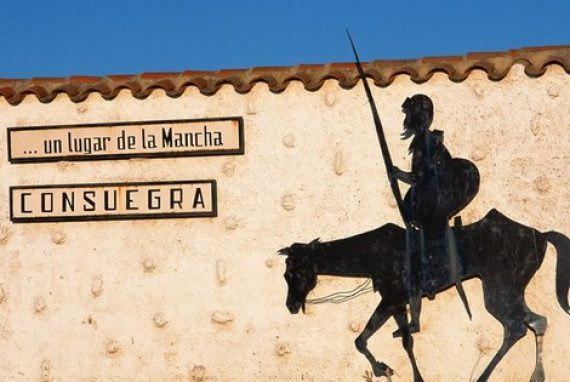 The best novel in the world literature «Don Quixote» written by Spanish author Miguel de Cervantes gave a wide popularity to the region. The main feature of the region is picturesque vineyards with windmills. The list also includes ancient architecture great number of fortresses and locks, delicious cuisine is a mixture both Christian and Muslim cookery. Toledo is best- known among other cities of this region. Toledo (Toledo) is an amazing city that steel has a Middle Ages touch. Toledo is located in the central part of Spain, on the Tahoe River and 70 kilometers far from Madrid. The population of the city is about 80 thousand. In 1986 Toledo was declared as UNESCO world heritage city. Toledo is a unique historical t and architectural monument owing to a mixture of Christian, Arab and Jewish cultures. Being in Toledo definitely you should treat yourself with a traditional Toledo dish stewed partridge. The dish is cooked on slow fire with white wine, various spices, onions and garlic adding. Sweet teeth will be surprised with a traditional Toledo dessert that is made of grated almonds and sugar syrup, and has a name Marzipan.